This has been a really difficult decision for me to make. But after four years and 1,453 daily posts I am going to take the next few days off to rest my mind, enjoy time spent with family and friends, and commune with my Lord as I contemplate where He is leading me. In case you thought I was going to say that I'm shutting this blog down... that's not the case. I haven't received that message from the Holy Spirit yet. And besides, I feel that I have developed a very real and intimate relationship with those of you who take the time to listen to my thoughts and commentary. I know there are not legions of you. My number of loyal readers is quite small compared to the superstars in the blogosphere. But we know, don't we, that we are connected through a Higher Power? We know that God has set us apart from the world and that we see events and people and circumstances through a different lens. We know that we were born for this time and that there is a calling upon our lives to do Kingdom work; even as we are still trying to discern what that looks like for each of us. All we know is that He wants us, and serving Him is our highest goal. I want to assure you that writing this blog is one way that I am striving to follow Jesus's two great commandments: that I love Him with all my heart, soul, mind and strength -- and that this love is enough to hear His voice, and to try to point a way to Him in each day's writing; as well as wanting my words to touch each person, in love and compassion, who are trying to see Him through the daily circumstances of our lives. And I must confess that, while inspired and committed, I am often exhausted by the effort. I often feel as though I have not given my best to either God or you. And, after four years, I think I just need a little time of rejuvenation. When I said that these next few days are to "rest" my mind, I want you to notice that I did not add the other word that usually accompanies that idiom ... "relax". You see, by rest, I mean that I need a few days of peace and refreshment... Peace from all the turmoil that floods my mind and makes it difficult to filter out only what I am to share with you. And I need a time of refreshment; a time to get revived and to receive a new influx of spiritual inspiration. To me, relax means to loosen up or become less firm in my motivation and purpose; and to have a milder manner. Make no mistake, I am feeling that our future will call for a renewed firmness and a bolder stance on the part of each of us. So, after praying and listening, I have discerned that it is OK for me to take this small break; in fact, it is necessary that I do so. My plan is to continue my writing next Sunday, at the end of our Thanksgiving holiday. And of course, if the Holy Spirit inspires me to share some of my thoughts throughout the week, you can be assured, I will be eager to do so. I also want you to know that I am under no illusion that this blog, or my words, are anything to be glorified. If this page disappeared tomorrow, God would still reach you through His Holy Spirit, and through the words and actions of someone else. I am not the center of His plan of reconciliation, by any means. But I am blessed by this opportunity to share how He has worked in my life and to encourage you in your walk with Him. I will be keeping you in my prayers this week, as we each celebrate our gratitude and thanksgiving for His presence in our lives and in this sinful world. May your week be full of rest and peace and revival. May God bless you and your families, and reveal Himself to you in His fulness and greatness. Happy Thanksgiving! Isaiah 26:3 You will keep in perfect and constant peace the one whose mind is steadfast [that is, committed and focused on You—in both inclination and character], because he trusts and takes refuge in You [with hope and confident expectation]. I think it is a very wise move to breath in a different manner for a few days. I'm sure you will be honoring God there as well. I have a sweet picture in my mind of you by next Sunday . I see you giddy to get back to this blog he has commissioned you with. Be blessed as you bless those around you. Enjoy your sweet family and friends. I love your posts and insights, but we all need to go and rest. Enjoy your time and let the brain rest. Thank you so much for all the heartfelt wishes for rest and revival! I appreciate your understanding and your encouragement more than you know! God Bless each of you and may God protect us through the holidays! May GOD bless you and refresh you during this break and when you do come back you will be filled with a fire that comes with new revelation for those who follow your blog! Belle, I've often meant to comment on your posts, as I've read them for over a year now. I'm amazed at your commitment to Jesus and have enjoyed your posts-they have convicted and inspired me on a regular basis. 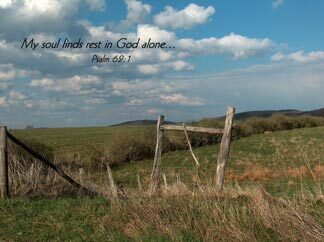 Thank you for sharing your heart and I pray Godly rest overtakes you over the next few days! Enjoy your time away, and know you'll be in my prayers. Enjoy your holiday! Enjoy our rest and time with family. Will miss you! I don't know how you write so eloquently and from the heart, day after day....but God has given you a gift to be able to convey your thoughts which we need to hear. Yes, do take time off to rest and get re-charged. Happy Thanksgiving; we are thankful for YOU. I am overwhelmed with the well wishes for rest and rejuvenation! I will admit that I both am enjoying not having the pressure to write each day, but still miss the sense that I am connecting with each of you that return to this blog day after day. I wish you all a blessed time of thanksgiving this week... as the world appears to descend into chaos, we all need to take the time to focus on how we can show God's love to those around us. Happy thanksgiving! Good for you. You deserve a break. I was just talking to my mother in law yesterday about you and how you never miss a day with your blog. You are amazing! Blessings on your rest. We all love you and need you, but our love for you means we want you to have rest times whenever you need them. Belle, like the other commentators I wish you and your family a very blessed and refreshing Thanksgiving! I am typically involved in preparing a sermon each week and a lesson for a Bible study. This is always a great honor to be able to serve the Lord in this way and I am always blessed spiritually myself in preparing these messages. But it does take a lot out of me. I have been slightly amazed at how you have been able to turn out a new post every day, the Lord is really using you in a special way, we all appreciate it...but don't get burned out. Stay well sister. I don't think I fear getting burned out... just depleted, and I felt like my well was running dry. Like you, I lead a Bible study, as well as attend one weekly, and the Lord is moving me and my husband into Biblical spiritual warfare. So it is becoming clear to me that He is moving me out of this world system and into His heavenly one... and like you, every moment spent in His Word is a blessing. I'm getting recharged by the Holy Spirit each day, and am eager to get back to doing this portion of my service for His kingdom. Blessings to you and your family!